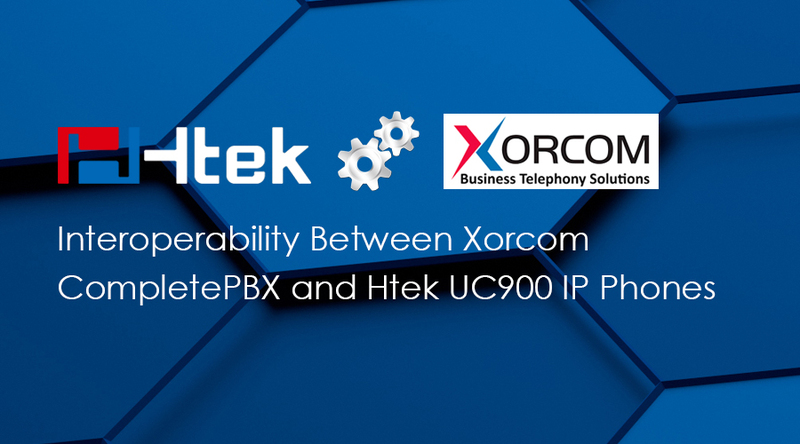 Nanjing,China, July26, 2018 – Htek, the global provider of enterprise class IP handsets, and Xorcom, designer and manufacturer of IP PBX (Private Branch Exchange) phones systems since 2004 ,announced today that the successful completion of interoperability testing and auto-provisioning integration between Htek’s UC900 series IP phones and Xorcom CompletePBX . This successful interoperability test is another example that we continuously make efforts to deliver the best possible value solution set to our customers and their end users. Htek offers a full range of phones and accessories that help businesses enjoy greater productivity. Its UC900 series IP phones offer a variety of features and customizable options intended to fit every user requirement; the series includes basic desktop phones for call center operators, multi-line innovative devices for receptionists, and HD audio/ Wi-Fi and Bluetooth Integrated phones for executives. CompletePBX is a comprehensive, business-grade VoIP telephony system. It is a single product line of varying hardware configurations that are optimized to support the communications requirements of businesses from from SOHO to enterprise customers. “Our latest partnership with Xorcom offers tremendous opportunities for both companies and provides resellers and end users with an easily-deployable, cost-effective, high-quality, feature-rich phone system solution.” Nico Tao, VP of sales at Htek, commented.